The trial for a Chicago police commander accused of putting his gun in a suspect's mouth began Tuesday, Reuters reports. 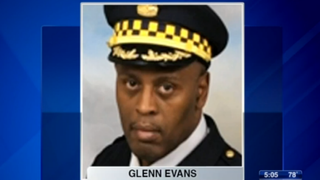 Glenn Evans, who has been praised for his efforts in combating crime in some of the city's toughest areas, has been relieved of his duties while his case is being decided, the newswire reports. Evans was charged last year with aggravated battery and official misconduct related to the January 2013 incident. The trial comes at a time when tensions are higher than ever in Chicago, which has been whirling in the aftermath of the release of videos related to the separate police shooting deaths of Laquan McDonald and Ronald Johnson III. As Reuters notes, members of the community have been protesting for nearly two weeks following the release of the video involving 17-year-old Laquan, who was shot to death by Police Officer Jason Van Dyke in 2014. Van Dyke has been charged with murder. On Monday, however, prosecutors declined to seek criminal charges against Police Officer George Hernandez in the death of the 25-year-old Johnson, the same day the U.S. Department of Justice announced that it would be conducting a civil rights investigation into the Chicago Police Department. According to Reuters, Evans will be tried by Cook County Criminal Court Judge Diane Cannon without a jury. During the first day of the trial, the alleged victim, Rickey Williams, accused Evans of chasing him into an abandoned South Side house and grabbing him by the neck before throwing him to the floor and putting his service gun into his mouth while pressing a Taser to his groin. "I was gargling, trying to get words out, but I couldn't say anything because the gun was so far down my throat," Williams testified, according to the Chicago Tribune, adding that the gun almost reached his Adam's apple. Williams told the court that he was standing at a bus stop when Evans pulled up in an unmarked police car and stared at him. Williams ran away as Evans called in to dispatchers, reporting a man with a gun running away. The young man testified that an officer smashed his face into the ground and that Evans assaulted him. Williams said that after he was handcuffed, he was punched twice in the face by another officer. After he was apprehended, officers supposedly spent about a half hour looking for a gun, which was not found at the scene. According to the Tribune, another officer, Todd Mueller, testified that Evans had told him to charge the young man with misdemeanor reckless conduct for running with a gun. That charge was dropped three months after the incident when no officers showed up in court. Williams testified that he ran from Evans because he was "nervous," since he was selling weed at the time. According to the Tribune, Williams told the court that he is seeking $5 million in his civil lawsuit. Read more at the Huffington Post and the Chicago Tribune.